We all know Chief Keef from his viral hit "I dont Like" that shot him into the limelight. The song and video was a phenomena in the music world because kids all over were singing it and reacting the video. 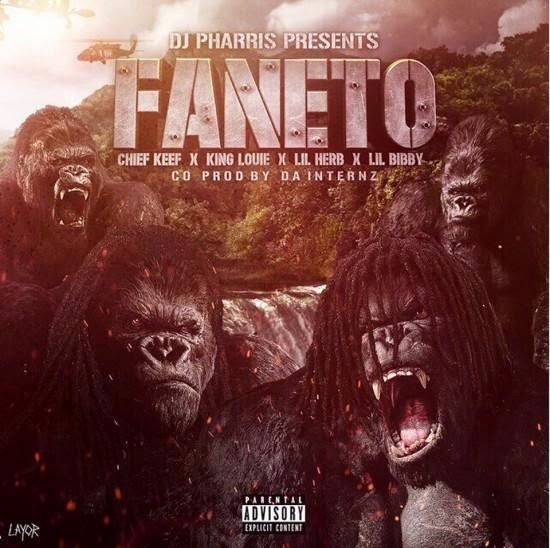 Now bloggers all around have been calling "Faneto" the next big thing from Keef, there's even a hour long video on youtube of kids across the country turning up to the song. With all the songs popularity Chief calls on fellow Chicago natives King Louie, Lil Herb, and Lil bibby for the Faneto Remix.